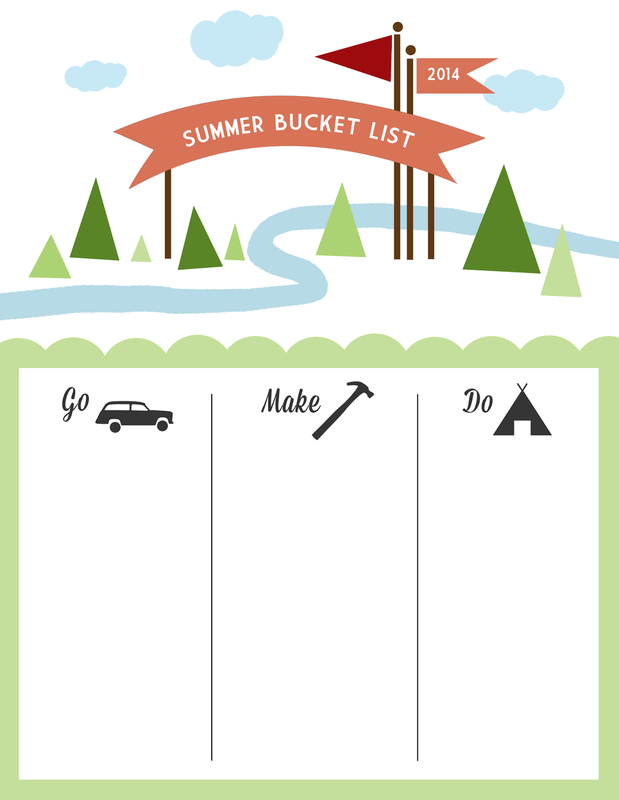 Now that summer is more than halfway over I'm finally posting this Summer 2014 Bucket List I designed in June (I'm really on top of things). John and I filled it out and unfortunately we've been so busy we haven't accomplished many of the things on it -- but we still have a little while left. I pinned it up on our bulletin board so we'd look at it and remember to do the things on the list. 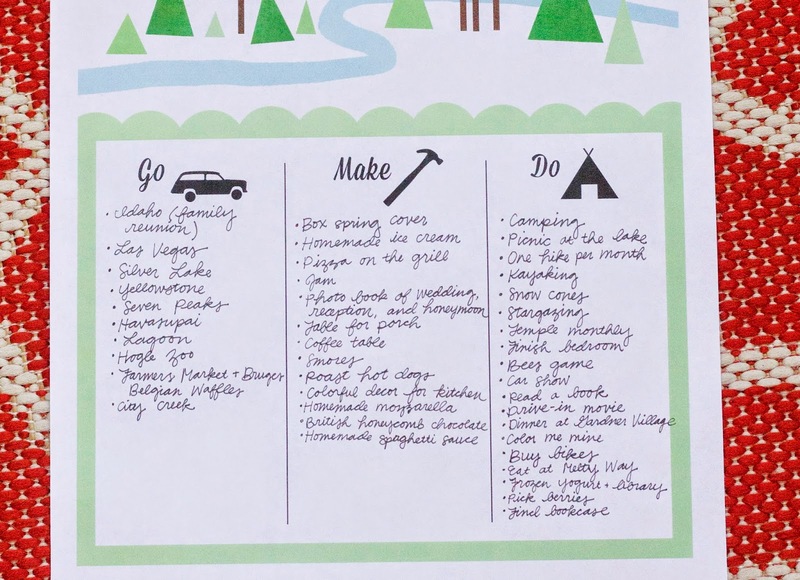 We used the "Go" column for trips/activities that would take more travel and planning. The "Make" column is for new food we wanted to try and projects we wanted to work on. 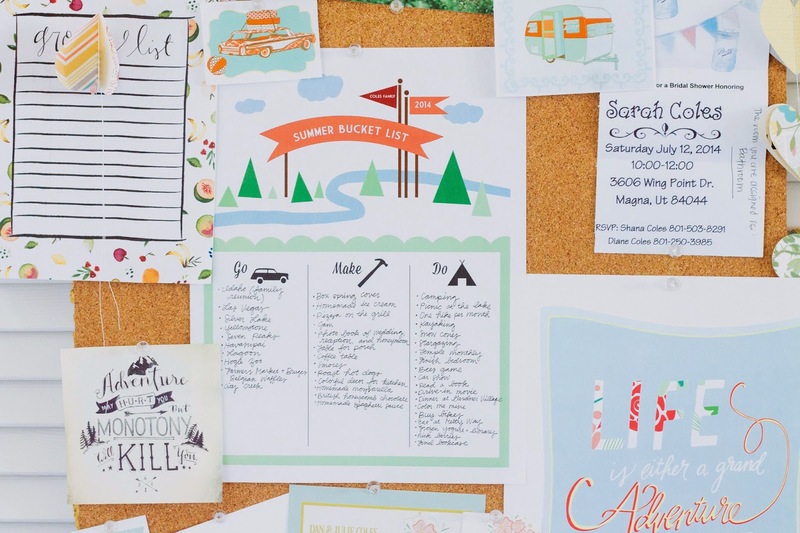 And the "Do" column is for summer activities that aren't really difficult to plan. They're somewhat interchangeable so you could really fill them out however you'd like to. 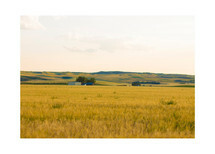 I decided to share the file for this summer bucket list, so I took out the "Coles Family" on the little flag and left that blank. You could write your own family name in pen or with Photoshop. 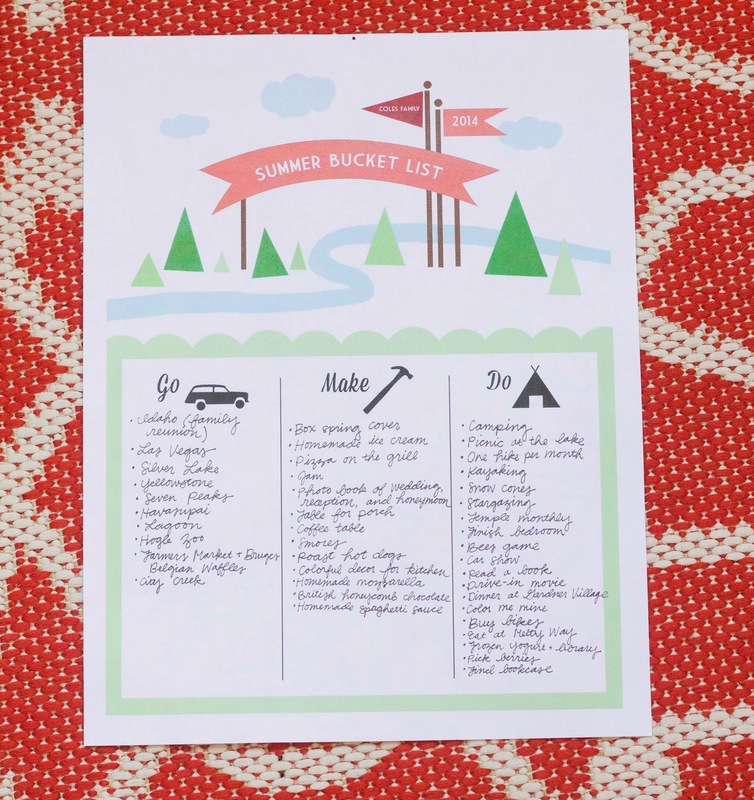 Click [HERE] to download the Summer Bucket List PDF. Oh my goodness! I know I just commented on one of your other posts today, but I have to comment again because I am totally and completely IN LOVE with these! Seriously. These make my heart flutter. Thank you so much for sharing. You are definitely gifted.